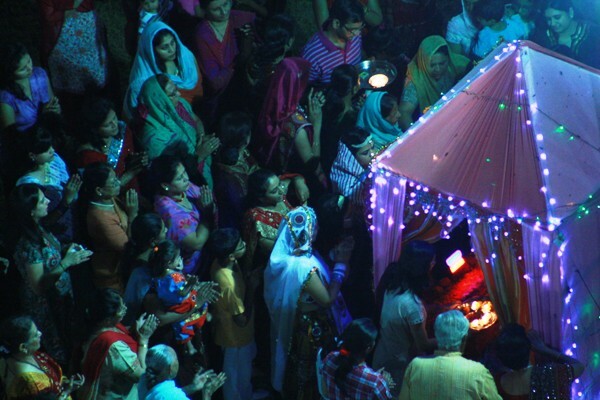 Navratri is drawing to a close, with only two nights left. Devotion, however, has not diminished. Worshipers continue to gather around the shrines, singing and chanting with just as much enthusiasm as the first night. Pray for all who gather for the last nights of celebration. Pray that they will begin to see the futility in their devotion to ‘works of their hands’. Pray that they will open their hearts and seek the Truth with as much devotion. Pray for Believers in Gujarat, that they will give evidence of as much enthusiasm for our Savior as the Hindus do for their gods. This entry was posted in Believers, Hinduism, Religions of India, Tradition and tagged Gujarat, Hindu Festivals, Hinduism, India, Navratri, Prayer. Bookmark the permalink.